Don’t Be Caught Wearing The Fool’s Gear! 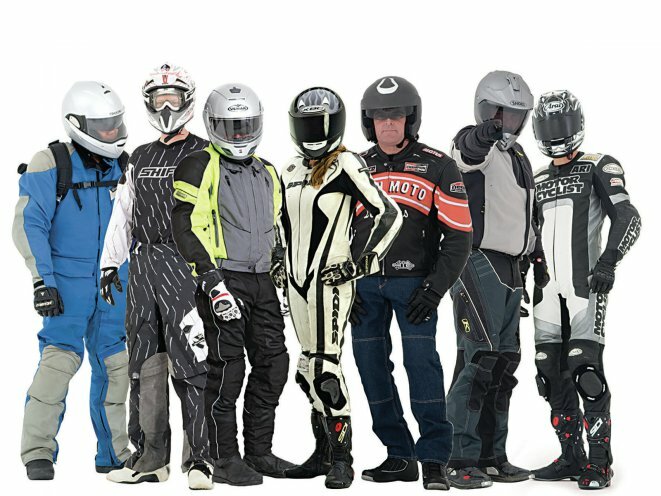 If you do not have riding gear, the following safety gear will be provided by our training facility: a DOT approved full-face helmet, eye protection, and full-fingered gloves. NOTE: Participants will need to provide the remaining protective gear: over-the-ankle footwear (must cover the ankle bone), long pants (no holes, rips or tears), long-sleeve–shirt or jacket (again, no holes, rips or tears), and a rain suit (optional). 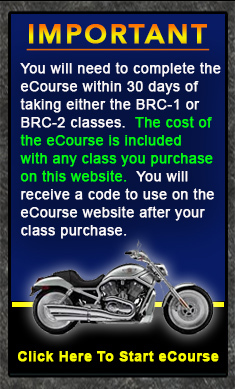 NOTE: All safety gear is required in order to participate in a rider course. 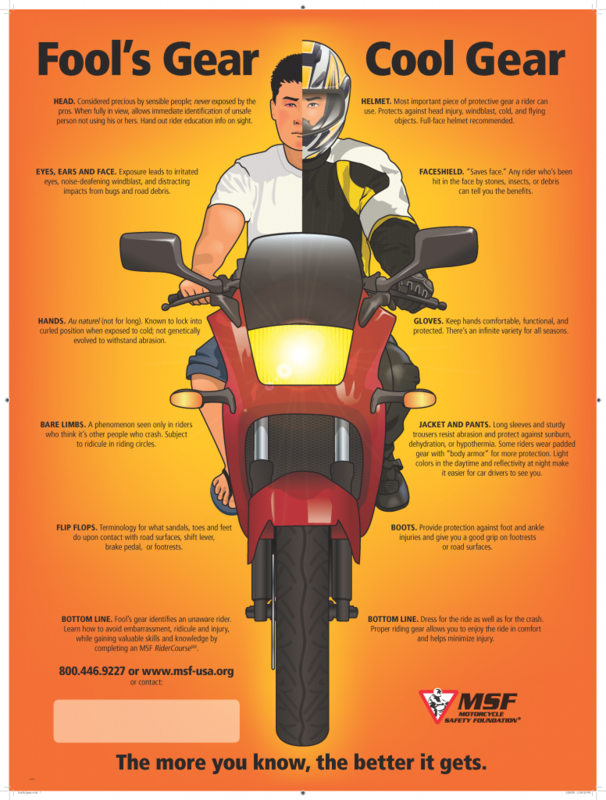 HELMET: Participants may use a full-face, three-quarter, or half-helmet as long as the helmet is DOT approved. Participants are encouraged to bring their own helmet for best fit & comfort. If a participant does not own a helmet, a full-face helmet will be provided. FACESHIELD/EYE PROTECTION: If a participant’s helmet is equipped with a faceshield, then other eye protection is not necessary. All eye protection should be clear and free of scratches, as it is essential for the instructor(s) to be able to see your eyes for proper instruction and evaluation. GLOVES: It is suggested that participants bring their own gloves for better fit & comfort. 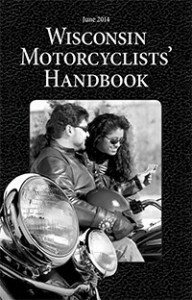 Motorcycle specific gloves are recommended, but not required. Gloves must be full-fingered with no holes. No part of a participant’s hands can be exposed. If a participant does not own a pair of gloves, a set of full-fingered gloves will be provided. JACKET & PANTS: Long-sleeves & pants are required to be able to participate in range exercises. Again, there should be no holes, rips or tears in either of these items. It is suggested that participants bring a number of different layers of clothing as weather changes throughout the day. BOOTS: Participants are required to wear over-the-ankle footwear in order to participant in the range exercises. Although boots are recommended they are not required, participants may wear hi-top tennis shoes as long as they cover the ankle bones. No canvas hi-tops allowed! There are No Exceptions to this rule.